Peak Vacation Season is Just Around the Corner! With Memorial Day less than 2 weeks away, the peak vacation season at the Crystal Coast is about to begin. Pack your bags and head to the beautiful beaches of the Southern Outer Banks. What better way to spend your summer vacation. 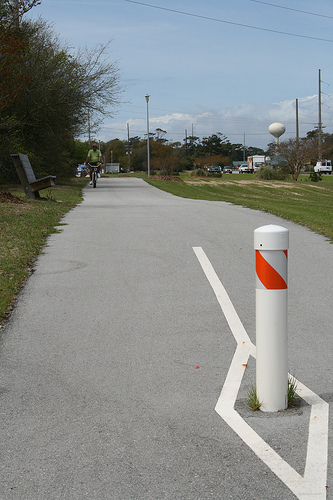 Sure gas is expensive but if you’re headed to Emerald Isle be sure to take advantage of the bike paths. Why not park your car in the driveway of your rental and pedal to almost any where you want to go. Planning your vacation is part of the fun. Go on line and do a search of rental properties on the Crystal Coast. There are several easy-to-use rental property websites from the local Crystal Coast real estate agencies. Each one has it’s own unique features. I suggest you find one that makes your rental search easier and gives you the best results for your family’s needs. Investigate fun things to do. Remember, not everyday will be bright and sunny. Having alternative activities pre-planned for those rainy days at the beach will make your vacation more fun for everyone. 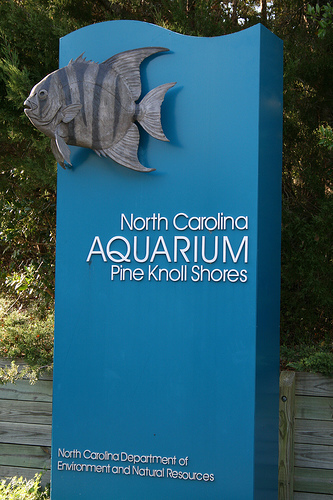 Day trips to the N.C. Aquarium in Pine Knoll Shores or the Tryon Palace in New Bern make great getaways to keep the kids busy when the sun decides to take a vacation. Explore local boutiques and gift shops that carry items made by local artisans. Don’t forget about the new bowling alley called Mac Daddy’s opening soon over in Cape Carteret. You can even catch a movie at the Emerald Isle Plantation Movie Theater or just rent a DVD and take it back to your condo or beach cottage. Most rental properties have DVD players. Many families bring along some old favorite movies from home or hit the local DVD rental store. Repeat After Me – “A Vacation List is My Friend”! A well planned Crystal Coast vacation is worth the effort. The time you spend before you leave home can make the time away from home much more enjoyable, memorable and affordable. Items that you forgot to bring can be purchased at the coast but are usually a little more expensive. The sunscreen you left at home can be replaced once you are on the Crystal Coast. Often those items carry an extra expense you didn’t need. By all means – make a list before you leave. I don’t know how many times I have gotten to the coast and said “I forgot to bring the Kite”. Or “I forgot to pack the sunscreen”. I try to make a list of the items I want to remember to pack. As it gets closer to our vacation, things have a tendency to become more hectic… trying to pack, making sure everything is caught up at work, remember to cancel the newspaper and the house is ready to leave vacant. Lists help me to make sure nothing is forgotten. That way your vacation will be more fun and less costly! It’s so easy. Just click on the “leave a comment” button and tell what you do when pre-planning your Crystal Coast vacation that helps make your time here more enjoyable and maybe even less expansive? Mark Your Crystal Coast Event Calendar! Crystal Coast Blog Post – My Personal Favorites! A Crystal Coast 4th of July to Remember! Bobby Carroll on What Should be in Your Beach Bag? Rebecca DiCioccio on What Should be in Your Beach Bag? Welcome to the Crystal Coast Blog! Are the Crystal Coast Beaches Dog Friendly? Post Your Emerald Isle Instagram and Twitpics Here! What Should be in Your Beach Bag? Copyright © 2019 The Crystal Coast Blog. All rights reserved.